Remove debris from your gutters and downspouts with Sound Cleaning residential gutter cleaning services. Leave it to Sound Cleaning to remove leaves, debris and dirt from your gutters ensuring that your gutters and down-spouts will flow freely. Clean gutters and downspouts will also prevent sagging and breakage as well as helping to prevent the growth of moss and algae. If you are looking for a residential gutter cleaning services company, Sound Cleaning Resources will get the job done right. What if there is loose debris on the roof? Loose debris on the roof such as leaves, branches, etc. will need to be air blown and removed in order to keep it from going back into your gutters and downspouts. If there is loose debris on your roof, we will remove prior to cleaning the gutters and downspouts. Why should I clean my residential gutters and downspouts? When gutters are left full of debris and clogged, water can overflow, cause sagging or breakage and rot the walls of the building. In addition, standing water in gutters increases the growth of moss and algae. Blockages in downspouts can overflow and cause damage to the structure and property. How do you clean my gutters and downspouts? 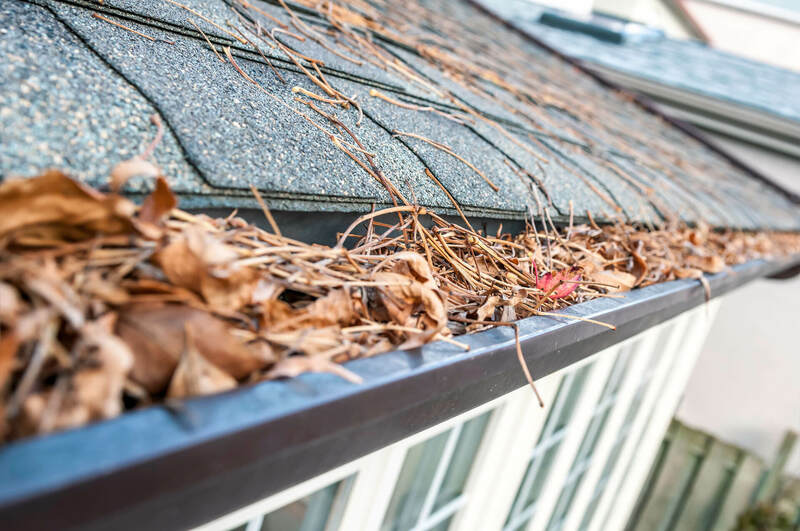 After we remove loose debris from the roof as needed, we scoop/blow out leaves, dirt and debris from inside of the gutters by hand, with a gutter cleaning tool and/or a blower. Then, we use a hose and/or variable power washer to remove grime from the bottom and sides of the inside of the gutters. Next, we flush out the downspouts clearing any blockages ensuring proper drainage. Finally, we remove any excess from the outside of the gutters, siding, grass, shrubs, walks, etc. and dispose of or remove any debris. Can you remove the moss, mildew and algae from the outside of my gutters? Yes, we can pressure wash the gutter exteriors removing, moss, algae, sludge and other hard to remove grime when present for an additional charge. In most cases, full pressure washing of the gutter exteriors is not necessary so a rinse of the gutter exteriors is included as part of the standard gutter cleaning above. Where do you put the debris from residential gutter cleaning? We will dispose the debris in a yard waste container or remove it off-site. We are always careful to clean up afterwards and leave your grounds, walk-ways, parking lot, landscaping, etc., debris free. Are you insured for residential gutter cleaning services? Do you have references specifically from other residential gutter cleaning customers? Yes, we will be happy to provide you with contact information for current customers with their permission. How much does it cost for residential gutter cleaning services?